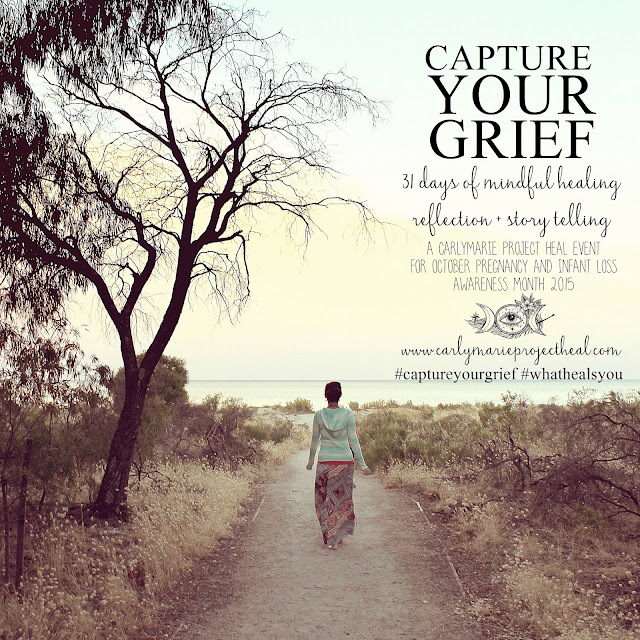 I'm continuing my journey through Capture Your Grief with Carly Marie. I am enjoying this time of reflection. Any time purposefully spent thinking about Angel brings me joy. Whereas five years ago thoughts of her loss were painful, I can now say that God has given me beauty for those ashes and has turned my mourning into joy. I'm forever blessed being her momma. The third subject for reflection in this series was IN HONOUR. When I see those words, I think of the beautiful baby loss mommas I met after my miscarriage who did things in honor of Angel. Here are two pictures I will forever treasure that they created for me. The fourth subject was DARK + LIGHT. 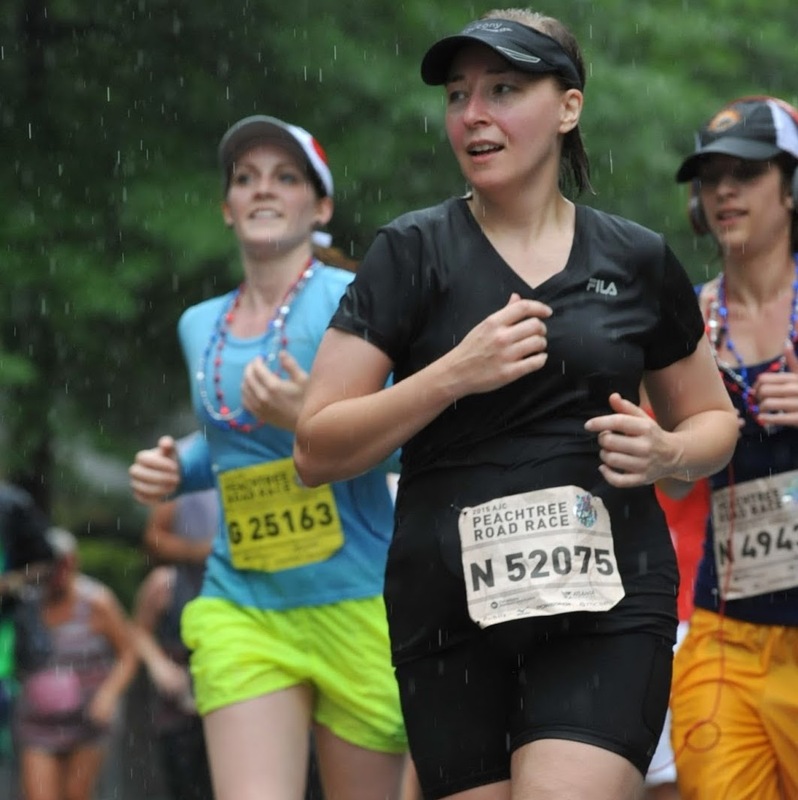 This topic reminds me of a post I wrote at a particularly dark time after my miscarriage. Some individuals were saying insensitive things. I called the post, "I'm okay - don't worry about me!" After reading back over it, I'm thankful to be sharing it here again. I hope it is a light to those in the dark about what to say to someone who experiences the loss of a child. Check it out. Give it a share. The fifth subject was EMPATHY. What is empathy? The dictionary defines this noun as "the psychological identification with or vicarious experiencing of the feelings, thoughts, or attitudes of another." You cannot even begin to empathize with a mother who has lost a child unless you have ever lost a child. You can sympathize, but you cannot empathize. Truly, those that can empathize know best how to respond to someone who has lost a child. I wrote up some suggestions in a post: What can you do when you learn your friend has had a miscarriage? I think these suggestions would apply to any mother who has lost a pregnancy, infant, or young child. Please read that post. Take it to heart. The sixth subject was BOOKS. There was a bible study I joined that was especially helpful to go through after losing Angel. It used a book called Threads of Hope, Pieces of Joy. This book, and that group of ladies, helped me process what the bible, and thus my Jesus, had to say about my miscarriage. I would highly recommend it if you are dealing with a recent loss. Another book I have to mention is the one I wrote Angel's story for: Because They Lived. 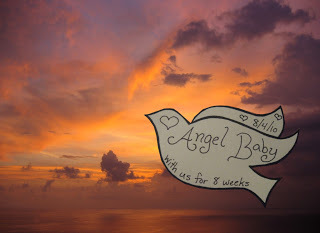 For whatever reason, I was drawn to hearing other women's stories about their losses after losing Angel. It helped to know I wasn't alone in my experience and in my grief. I also recommend that book. The seventh subject was MEMORY. For this subject, Carly Marie suggested we share a memory of our child. Angel wasn't here very long, so I don't have much to draw from. However, my earliest memories surrounding her were joyful and involve when I found out I was pregnant with her. Seeing the positive pregnancy test was particularly exhilarating. I remember being giddy with excitement. She was desperately wanted and dearly loved, still is. Learning I was pregnant with her will forever be one of my greatest moments of happiness in life. The eighth subject was WISH LIST. I can tell you what immediately comes to mind when I think of a personal wish. I wish my friends and my family would make more of an effort to remember Angel. Some do. But many do not. In August, send a message or a card about her passing? In October, do something in honor of her memory? Those are just a couple ideas. And so I guess my greatest wish of all would be that if someone loses a child to miscarriage, early infant loss, or unexpected tragedy (as some dear friends of mine have endured this past week with the loss of their five year old), that we all just go out of our way to remember the importance of remembering that child - even months or years after he or she is gone. That's my number one wish. The ninth subject was FAMILY. My family is Michael, Beth, Hannah, and Angel. It is my in-laws and my relatives. It also encompasses the members of our church, and it extends out to those who care about my well-being and the well-being of those I love. Life is all about relationships - the greatest of which is the one we have with Jesus. Family is everything. I would do anything for those I consider family. The tenth subject is WORDS. For this topic, Carly Marie encouraged us to write whatever is currently on our hearts. My heart is heavy tonight after the loss of my children's pastor's five year old son, Christian. After going to his viewing, yesterday, and his funeral, today. I'm brokenhearted for his momma and daddy and brothers. I'm mad. I'm sad. I'm over loss. I'm ready for Jesus to come and take us all to glory. I am weary of this world. So many taken far too soon. We will always remember you ALL. Until the day we are together again.